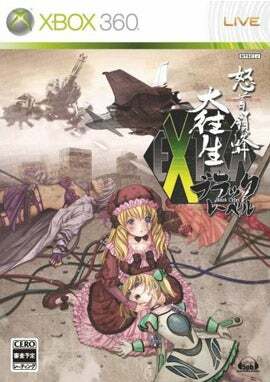 As far as troubled Xbox 360 maniac shooter ports go, they don't get more troubled than DoDonPachi Dai Ou Jou Black Lable EXTRA. Let's recap: The game was slated for release on Christmas day, but was delayed because it needed extra time. Then it was dated for February 19. When released in February, the game was plagued with bugs. It was so buggy that Japanese developer 5pb, who did the port, issued a statement. "We apologize for the trouble this has caused customers," 5pb stated in an online message. "Currently, we are investigating measures to counter this." 5pb issued a statement on its website stating that it had copied the source code from the PS2 version of DoDonPachi Dai Ou Jou. According to 5pb, "We've confirmed that the source code from copied without permission and intentionally altered while making this title." The company apologies and states it is reviewing its internal development and quality control structure to prevent something like this happening a second time.